Vista Wealth Management is an independent, unbiased – and arguably most importantly – bespoke financial advice and stockbroking firm. Our wealth management services are provided through some of the leading providers in SA (Allan Gray, Investec, Liberty, Momentum and Sanlam). Our stockbroking services are provided through Investec. Magnus’ formal qualifications include a B Comm and B Comm Honours from Rand Afrikaans University (RAU). He has an MBA degree from the University of Pretoria’s Business School (GIBS) and successfully completed CFA level 1. 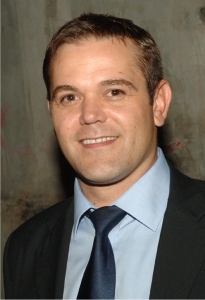 He is a qualified stockbroker and member of the South African Institute of Stockbrokers (SAIS). In the late nineties and early two thousands he experienced the dot-com bubble first hand whilst programming and owning a customised software development business. His technology skills gave him access to the financial sector where he ultimately headed up the Johannesburg Stock Exchange’s (JSE) equity derivative market. 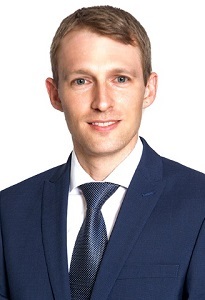 At PSG Wealth he was head of the direct clients business, taking responsibility for all clients managing their own wealth directly on the PSG online stockbroking and LISP platforms. At the JSE and PSG, he gained over 14 years combined financial services experience. Henk joined the Vista Wealth team in 2018. Henk is responsible for managing the Vista High Equity Portfolio. He is a CFA charter holder and a qualified Chartered Accountant and holds degrees in Accounting and Risk management. He is a qualified stockbroker and member of the South African Institute of Stockbrokers (SAIS). Henk served as a director of PSG Securities between 2014 and 2016, and has more than 10 years of experience in the investment and finance industry. His experience ranges from stockbroking, asset management, real estate, insurance, pension funds to professional services. 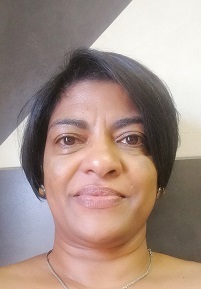 Gwen is a seasoned financial services professional having spent over three decades at the centre of the South African economy, at the Johannesburg Stock Exchange (JSE). Her expertise lies in leading large-scale strategic product enhancement projects, whilst flawlessly maintaining business-as-usual operations. She has directly contributed to the evolution of the JSE’s cash equities market from an open-outcry model to an advanced, technology driven trading system. Gwen has also lead Business Continuity for the JSE. She is meticulous, dedicated and has the unique ability to extract extraordinary value from very little input. Her high quality work bears testament to her commitment to delivering only the best whilst maintaining steadfast to her highly ethical standards. 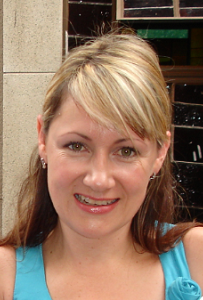 Lynette has 15 years’ experience in the banking and commercial property sector (combined). Having had the role of coordinator between the bank and its high net worth clients – integrity, professionalism and being well organized features strongly in her work ethic. Her experience has given her the ability effectively multitask between administration and accounting. As such Lynette serves as Vista Wealth’s Office Manager and Bookkeeper. Lynette joined the Vista Wealth team in 2017 and has a BA Ed degree from Rand Afrikaans University (RAU). The Financial Advisory and Intermediary Services (FAIS) Act (37 of 2002) aims to protect the investors and to professionalise the financial services industry. FAIS regulates the activities of all financial services providers (FSP) who give advice or provide intermediary services to consumers of certain financial products. The FAIS Act requires that FSPs be licensed and creates a professional code of conduct with specific enforcement measures. All FSP’s must ensure that they comply with the legislation, and with certain specific fit and proper requirements as stipulated in the act. This is only as a brief extract of the FAIS Act. Click here to download the full act.